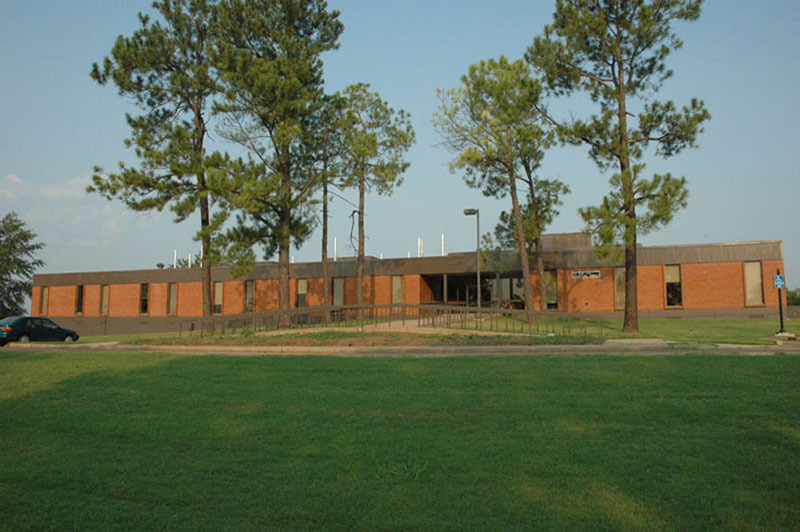 The Mississippi Entomological Museum (MEM) is located in the Department of Entomology and Plant Pathology at Mississippi State University near Starkville, MS. The MEM was formed in 1979, under the leadership of Dr. William H. Cross, to combine several private and institutional collections that were present in the state. The MEM initiated the Mississippi Arthropod Survey in 1982 and the Midsouth Arthropod Survey in 1990, with the latter emphasizing arthropods in unique and threatened habitats in Mississippi, Alabama, and Louisiana. Current staff and museum associates include 18 researchers in Mississippi who are working on taxa in Araneae, Acarina, Plecoptera, Homoptera, Coleoptera, Lepidoptera, and Diptera. The research collection contains almost 2 million pinned specimens, and more than 35,000 are being added annually. The MEM includes collections, beginning in the late 1800's, of H. E. Weed, Henry Dietrich, J. M. Langston, R. W. Harned, Gladys Hoke-Lobdell, E. W. Stafford, M. R. Smith, William H. Cross, Leon W. Hepner, Bryant Mather, Paul Lago, Charles Bryson, and others. Exotic material includes taxa from Central and South America, the Seychelles, New Caledonia, and Fiji Islands. The MacDonald Collection, emphasizing Lepidoptera of Panama, is housed in the MEM. The museum also houses the Ross E. Hutchins collection of photographs, which are primarily of insects and other natural history subjects, and the James Solomon collection of wood damage. Collection use. The Mississippi Entomological Museum (MEM) collection's main purpose is to support scientific research. Scientists can study MEM specimens either through research loans (see loan policy) or on-site visits. Scientists wishing to visit the collection must contact the MEM director or curator in advance in order to make arrangements. The museum's research collection is not open to the general public except for occasional guided tours of small groups for educational purposes. Museum specimens are used on occasion for demonstration in taxonomy classes, but in such cases specimens remain in unit trays and drawers and are not handled by students. No fees are charged for scientific use of the collection. Data use. Specimen data from the MEM that has been databased are accessible through the internet and are freely accessible to the public. Data from non-databased specimens are also freely available. This data can be accessed through an on-site visit or through a request for data made to the MEM director or curator. Such requests are fulfilled if possible, but if the request for data is unusually large, an on-site visit by the requestor may be necessary. Acquisitions - collecting. The MEM actively seeks to enhance its collection through the addition of specimens with high quality data. 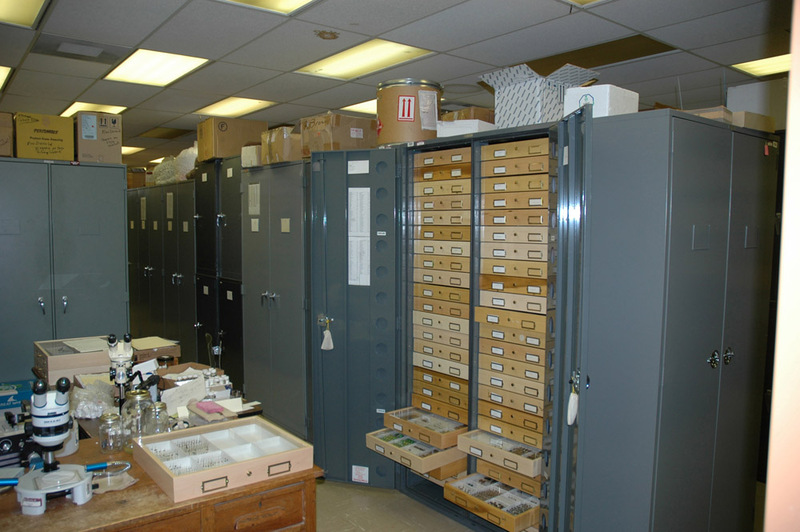 Collections made by MEM staff are a significant portion of the total insects added to the museum holdings each year. These collecting efforts are concentrated in significant and unique natural habitats in the southeastern United States and focus on taxa in the museum staff's areas of expertise, which currently include Lepidoptera, Formicidae, wood boring Coleoptera, and Orthoptera. However, all taxa of insects are collected in order to enhance the overall collection. All collections are made in accordance with the laws and regulations of the United States, foreign governments, individual states, and local and private entities. Copies of all collecting permits are kept on file in the MEM. Acquisitions - donations. Donations significantly add to the museum's holdings and usually enrich the collection with specimens from localities not readily visited by museum staff. Donations to the MEM are generally accepted with the understanding that specimens of poor quality, those with poor quality data, or some specimens from very large series might not be retained. Collecting permits for donated material, if applicable, are kept on file in the MEM. If requested by the donor, donations are evaluated for tax purposes by the museum director. Acquisitions - voucher specimens and others. Specimens are also added to the collection through museum activities not directly related to collections made by MEM staff. For example, many specimens are obtained through the museum's APHIS screening center for exotic insects. The museum also serves as a repository for voucher specimens for entomological research, mainly from faculty and student researchers at Mississippi State University, but also from other researchers in Mississippi. Scientists depositing vouchers are required to prepare and label specimens in an acceptable manner for the taxa in question. Each voucher specimen is affixed with a label indicating its status as a voucher along with an assigned number corresponding to the scientist's research project and publications. New acquisitions of all types are frozen before curation into the collection in order to kill any potential museum pests. Deaccessions. Specimens that are badly damaged, those that lack data or have poor data, and some specimens from very large series are sometimes deaccessioned. Specimens that fall in these categories most often occur in specimens newly acquired through donation, but are sometimes encountered during routine curation of the collection. All such specimens are evaluated by the director or curator to be certain that they have no scientific value or historical significance. Deassessioned specimens that are not damaged are usually placed in a teaching collection. Museum specimens are never sold. Acknowledgement of receipt of specimens. Two copies of the MEM loan form will be sent to the borrower. Upon receipt of specimens, the borrower must sign and return one copy of the loan form, noting the condition in which the specimens were received. Care of specimens. Borrowed specimens should be kept in trays or drawers that clearly indicate that they are property of the MEM collection. If in the course of research MEM specimens are mixed with specimens from other collections, each specimen should be individually labeled to indicate that it is the property of the MEM collection. The borrower is fully responsible for the care of the specimens, which should be protected from breakage, dust, mold, and museum pests. Duration of loans. Loans are normally made for a period of three years, with renewal of a loan usually granted upon written request. Student loans. Loans initiated by graduate students are normally made to their major professor, who agrees to be responsible for the care and safe return of the specimens at the completion of the student's degree program. Third parties. Loans may not be transferred to a third party without written permission of the director or curator. If permission to is granted, a new loan will be made to the third party. Dissection and other destructive sampling of specimens. The borrower must obtain written permission for any dissection or other treatment that will permanently alter specimens, including destructive sampling for DNA extraction. If permission is granted, specimens should be part of a series, and if dissected, parts must be stored or mounted in a generally accepted way for the taxon in question. Dissection of types, rare specimens, or unique specimens requires specific written permission of the director or curator. Databases. Preexisting database labels, if present, should not be removed from specimens and should be preferentially used in any database. Borrowers wishing to add new database labels to specimens should consult with the MEM director. Return arrangement of specimens. Specimens should be arranged so that their identification is unambiguous, with species clearly separated from each other. Determination labels should be placed on each specimen. Type specimens. The MEM does not house holotypes. Holotypes designated from MEM material should be deposited in the Smithsonian Institution (USNM). Deposition of holotypes in other institutions is sometimes allowed if that institution houses major holdings of the taxonomic group in question, but in such cases written permission from the MEM director is required. If paratypes are designated based on MEM specimens, at least one male and one female paratype should be returned to the MEM. Publications designating a holotype from an MEM specimen should include the following or similar statement: "Holotype from MEM deposited in USNM." Retention of specimens. Retention of specimens identified by the borrower, which have duplicate label data and which represent not more than 1/4 of each species in the loan, is permitted subject to the approval of the director or curator. Unique specimens, representatives of polymorphic forms, and examples from diverse localities must be returned. Borrowers must supply a list of any species retained along with a copy of the complete label data for each specimen retained. Publication of results. The borrower should acknowledge the Mississippi Entomological Museum in any paper based on the study of the loaned material. The acronym or codon for the Mississippi Entomological Museum is "MEM." Hard or electronic copies of all publications based on MEM specimens should be sent to the curator. If reprints are not available, the curator should be notified of the publication citation. Loan renewal. At the end of each loan period, a request for a loan extension should be made to the curator. If a loan is terminated or extension denied, specimens must be immediately returned. Return of specimens. Specimens should be returned in a similar fashion to which they were sent, using the original or comparable pinning boxes and shipping boxes. All packages must be adequately packed so as to avoid damage to the specimens. Vials, microscope slides, and other heavy objects should be separated from pinned material. Large specimens and genitalia vials should be supported by brace pins. Pinning boxes should be separated from each wall of the shipping box by at least two inches of packing material. Damaged or valueless specimens. Specimens judged by the borrower to be hopelessly damaged or otherwise scientifically useless should be segregated for subsequent discard, but returned with the rest of the loan. Shipping costs. Initial shipping costs are paid by the MEM and return postage is paid by the borrower. Change of status. The borrower should notify the curator of any change in status of the loan or borrower, including change of address. Visits. We encourage borrowers to visit the Mississippi Entomological Museum, conduct research in the collection, and hand-carry borrowed specimens. Entomological literature, photographs, supplies, equipment and other items are accepted for donation with prior approval of the Museum Director. Five funds have been established in the Mississippi State University Development Foundation and are available for contributing monetary funds to support operations of the Mississippi Entomological Museum. Endowment of funds requires one or more contributions to meet the minimum level of $15,000. Ross Hutchins Publications Fund (Endowed). Dr. Ross Hutchins, former professor and head of the Department of Entomology and Zoology, was known for his photographs of insects and other natural history subjects. In addition to his articles and photographs in Natural History, National Geographic, and other magazines, he was the author of more than 40 books. This fund supports publication costs of the Museum’s publication series and costs for purchasing books and other literature. Leon Hepner Museum Assistant Fund (Endowed). Dr. Leon Hepner taught insect taxonomy and other entomology courses and conducted research on systematics of Cicadellidae (Homoptera) at Mississippi State University from 1958 to 1980. Dr. Hepner described more than 300 new species of leafhoppers, mostly in the genus Erythroneura. This fund provides financial support for students to assist in curatorial activities of the Museum. Bryant Mather Memorial Fund (Endowed). Bryant Mather was a geologist and world-renowned expert on concrete with a distinguished career with the Corps of Engineers for 59 years. His interest in Entomology, especially Lepidoptera, resulted in an extensive collection of insects from Mississippi and several publications, including Butterflies of Mississippi.This fund supports equipment, curatorial support, and expenses associated with the Museum’s state survey of insects. Unrestricted Fund. Contributions are used as needed to supplement funding from other sources for operation of the Museum. Checks for monetary contributions should be made to “Mississippi Entomological Museum” with the choice of fund indicated on the check or with an accompanying letter and sent to Dr. Richard L. Brown, Mississippi Entomological Museum, Box 9775, Mississippi State, MS 39762. Identifications of unknown pest insects are provided by the Mississippi Entomological Museum at no cost to residents of Mississippi. A fee of $40.00/species is charged for identifications requested from individuals outside Mississippi. Some specimens may be identified only to family or generic level depending on the stage and condition of the specimen, available taxonomic references, and previously identified comparative material in the Museum. All specimens submitted for identification should be enclosed within a tight container that is then wrapped or surrounded by packing material, enclosed in a larger box or mailing tube, and mailed to Dr. Richard L. Brown, Mississippi Entomological Museum, Box 9775, Mississippi State, MS 39762 ( or by FEDEX/UPS to: Dr. Richard L. Brown, 103 Clay Lyle, Department of Entomology, Mississippi State, MS 39762; ph. 662-325-2085). Submitted samples should include information on where and when the insect was found, including county, town or distance from nearest town or other landmark, date of collection. If damaging a plant, the name of the plant and description of its damage should be given. For identification of moths, go to North American Moth Photographers Group. For identification of southeastern ants go to Ants of the Southeastern United States. The Mississippi Entomological Museum serves as the USDA-APHIS Regional Screening Center. The screening center was established to provide taxonomic services to eastern states coordinating with the Raleigh Hub. These services are designed to speed up the identification of possible exotic species. For more info about the screening center: MEM SCREENING CENTER. The Mississippi Entomological Museum Publication Series is an irregular series within the Mississippi Agricultural and Forestry Experiment Station Technical Bulletin series. The MEM series is distributed to all state and regional entomological collections in the United States, many international museums and university departments, and some 300 libraries in the United States and 63 other countries. Manuscripts that exceed 20 published pages and that concern basic areas of entomology, including morphology, systematics, natural history, evolution, and related aspects, will be considered for publication following reviewer's recommendations. Manuscripts from authors who have borrowed research material or collaborated with the MEM will be given first priority for publication. Authors receive 100 free copies of the published paper. Publication costs will vary according to number and type of illustrations; estimates of costs will be provided to prospective authors upon request. To order back issues, contact Terry Shiefer (tschiefer@entomology.msstate.edu) or Richard Brown (moth@ra.msstate.edu) at Mississippi Entomological Museum, Department of Entomology and Plant Pathology, Mississippi State University, Box 9775, Mississippi State, MS 39762-9775, phone: 662-325-2990 or 662-325-2989, fax: 662-325-8837. Morphology and Systematics of North American Blastobasidae [Lepidoptera: Gelechioidea]. D. Adamski and R. L. Brown. 1989. MEM No. 1: 1-70. $10.00. Morphology of Eyes and Sensory Receptors of Larval and Adult Stages of Thyridopteryx ephemeraeformis Haworth (Lepidoptera: Psychidae). G. T. Baker. Influence of Host Type and Host Switching on Nutritional Performance of the Bagworm, Thyridopteryx ephemeraeformis Haworth (Lepidoptera: Psychidae). K. E . Ward, S. B. Ramaswamy, and T. E. Nebeker. 1990. MEM No. 2: 1-20. $4.00. Pachypsylla celtidismamma (Fletcher) (Homoptera: Psyllidae): Morphology and Histology of its Gall and Ultrastructure of its Adult and Nymphal Sensilla. J.M. Beisler and G. T. Baker. 1992. MEM No. 3: 1-27. $5.00. A Revision and Cladistic Analysis of the Heliothis virescens Species-Group (Lepidoptera: Noctuidae) with a Preliminary Morphometric Analysis of Heliothis virescens. R. W. Poole , C. Mitter, and M. Huettel. 1993. MEM No. 4: 1-51. $10.00. The Aquatic Hydrophilidae (Coleoptera) of Mississippi. S. Testa III and P.K. Lago. 1994. MEM No. 5: 1-71. $11.00. There are a variety of methods for insect collecting. For more information on this subject go to our "Insect Collecting Methods" site. Public visitors are welcome to see displays on insects and other entomological subjects in the foyer of the Clay Lyle Entomology Building during work day hours of 8 AM to 5 PM. Tours of the research collection are restricted to individuals and small groups and must be arranged in advance by contacting Richard L. Brown (662-325-2990). The Mississippi Entomological Museum is located in the Clay Lyle Entomology Building between the Sorority houses and the USDA Crop Science Research Laboratory on the campus of Mississippi State University. The 82 bypass around Starkville has been completed (dashed line in Golden Triangle map). 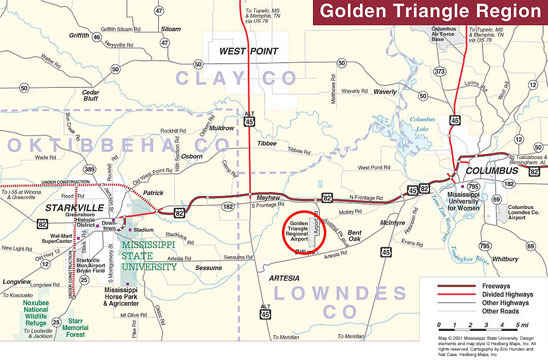 Take the Bypass to the Hwy 12 -MSU exit (2nd Starkville exit driving from east on Hwy 82, 3rd exit driving from west on Hwy 82 or from south on Hwy 25. After exiting the Bypass and going south, the large, barn-like indoor practice facility and drum-like coliseum will appear on the left. At the first signal light just beyond, turn left and go about 25 yards and then turn right onto a narrow street that goes between some fraternity houses. This narrow street comes to a T, where you do a "dog-leg" (quick right and then back left) to the signal light on the divided Bully Blvd. Go straight through this intersection towards the ante-bellum style sorority house and bear right up the hill to the Clay Lyle Entomology bldg (MSU Campus map with Clay Lyle Entomology featured). After the Holiday Inn Express on the north side of Hwy 12, go east through 3 signal lights (1st light – Jackson St; 2nd light – Montgomery St., 3rd light – Spring St). At the 3rd light, get in middle lane and go under the overpass for Hwy 12. Turn right at next signal and bear right up to hill to red brick bldg.